Today: Sun and clouds, brisk breeze blowing snow off trees. High in the 30s, wind from the west 15-20 mph. Overnight: Mostly cloudy, a few flurries, low in the upper 20s to low 30s. Monday: Partly sunny, high in the 30s. Cleanup is under way Sunday morning. Is a meltdown next up? Not necessarily. The melting will be muted by a new batch of cold that will come down in the coming days. We should be able to make it the mid and upper 30s Sunday before we fall to the low 30s Monday. As all that happens, our attention turns to a developing storm on Tuesday and Wednesday. Unfortunately, this isn't a cut-and-dry event (not like many are here in New England). The rain/snow line is a major player as marginally cold air will be available during the storm. In fact, most of Southern New England is getting wrapped in that milder air - the exception should be across Central/Western Massachusetts where it could be cold enough for some snow. I say that because of the storm's timing. As it tightens and intensifies, it will be passing into the Gulf of Maine - a little too late to slap significant snow across Southern New England. We have our eyes peeled for any switch in the storm path since a small jog here or there will have serious implications for snow or rain. 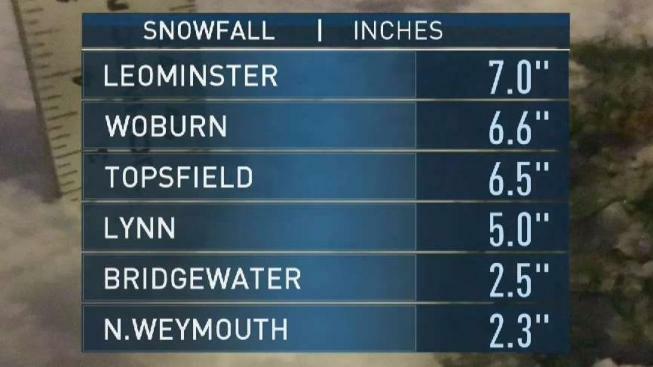 Nonetheless, several inches of snow is likely in Northern New England this time around – including the ski areas. Whatever we get from the storm, the cold is certain to surge in later next week. Bitter air will slam down with wind chills well below zero and highs struggling to make it into the teens and low 20s. We might as well cave...winter is here.